Hmmm...only 5 months between posts. One of these days I'll achieve my goal of making it an entire year. It's been a busy couple of months at Sabertooth so I thought I would take a moment during this brief downtime to A) Catch up on Game of Thrones...and B) Show some recent MODO work. This particular project was pretty cool. I did a series of animations for a live auditorium show at the Monterey Bay Aquarium. This time featuring a number of underwater vehicles that are used to research the deep sea. I knew I had a lot of work ahead of me when I took the project but was fairly confident about the deadline because I was promised CAD files of the vehicles. Well...I got CAD files but they were hardly representative of the underwater vehicles I was going to animate. They were just blocky, low-res templates. So......what to do? Buy Mesh Fusion - that's what. Modeling isn't exactly my favorite part of the process and I usually employ the expertise of the infamous Andy Brown (of MODO training infamy) when I have a lot of modeling work to be done. 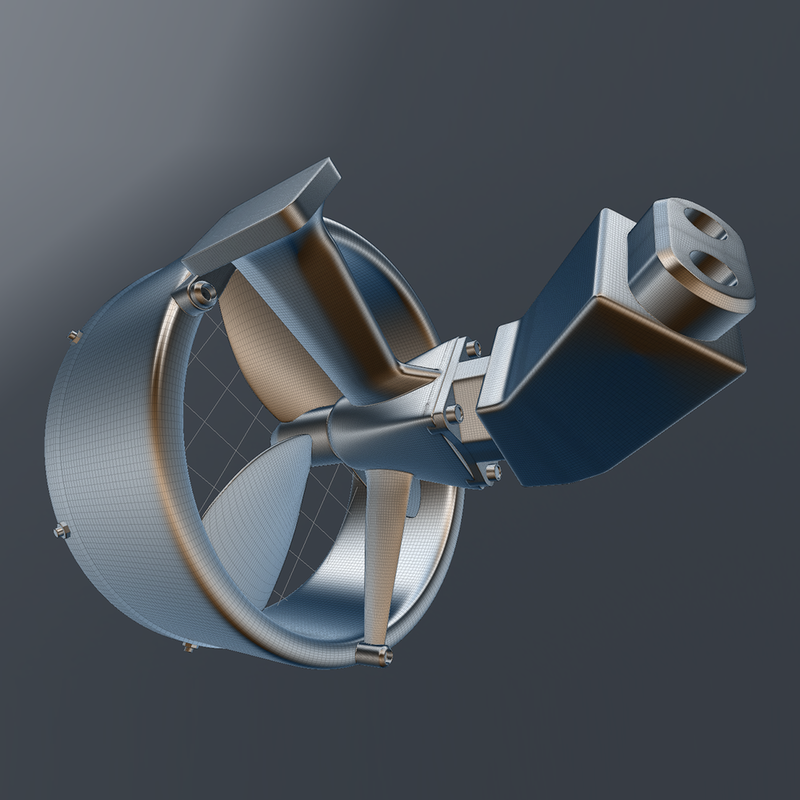 However, looking at the reference images and CAD templates I thought I could pull it off with MODO and Mesh Fusion. I have to say Mesh Fusion did a fantastic job and I really enjoyed using it. I work entirely in the schematic view and once you get a pie menu shortcut or two down you can work really quickly. I love that you can experiment with different designs and approaches simply by re-wiring the schematic. I hope other modeling operations in MODO get this sort of option. I don't think we need it for all of them (or even most of them) - but some schematically controlled extrudes, bevels, thickens and lathes would be nice to have. Here's some turntables of the four vehicles. The "Doc Rickets" is an ROV (remotely operated vehicle) while the two torpedo shaped vehicles are AUVs (autonomous underwater vehicles). The 'moon car' is called a Benthic Rover and is by far my favorite. It's actually quite large and stays underwater for weeks and months at a time doing sediment samples. I tended to create the different parts in a separate MODO scene (it's so nice to be able to have multiple scenes open at once in MODO) and then import the frozen mesh into the main vehicle assembly. A lot of people have been concerned about the resulting density of the frozen mesh...but honestly if you have any graphics card from 2013-2015 you will be fine. MODO handles high-poly objects very well....although you will get slowdown with a lot of items or a complex Shader Tree. I could spin any of these models (10-20 Million polys...less than 100 items) at over 60 fps on a Mac Pro with a GForce 580. The Titan/Titan X's I have can scrub through 50 million untextured poly scenes with no problem. With the entire Shader Tree 'on' the interactivity dropped though. Hopefully 901 will be better in this area. Here's some reference images of the actual vehicles. Notice that the long range AUV was attacked by a shark (almost certainly a Great White out here in California). The hazards of ocean research. The final animations were delivered separately and compiled into the live show by the Aquarium's in-house edit team (which has grown from a single Avid editor to multiple people using DaVinci, After FX and even MODO and Maya). This video is just a little montage I put together to show all the animation at once. Render times weren't too bad - maybe 20 min per frame (1920x1080) on a 16-Core machine for the toughest scene (the underwater shot with all the rocks and vehicles). Overall it was a fun project and I'm happy to have worked on it. While completing all of the Aquarium work I was contacted by Avid to do a large number of product renders for the upcoming NAB 2015 show. They had quite a few new products to announce which means I would be getting a large number of CAD files from different teams. I typically prefer Solidworks files, MODO loads them natively and they almost never have any issues like screwed up normals, flipped or missing polygons or missing parts. You can also up-rez Solidworks files by dialing up the display density in Solidworks before saving (the SW file you load into MODO is basically the GL representation from SW...with replicators and instances where necessary). 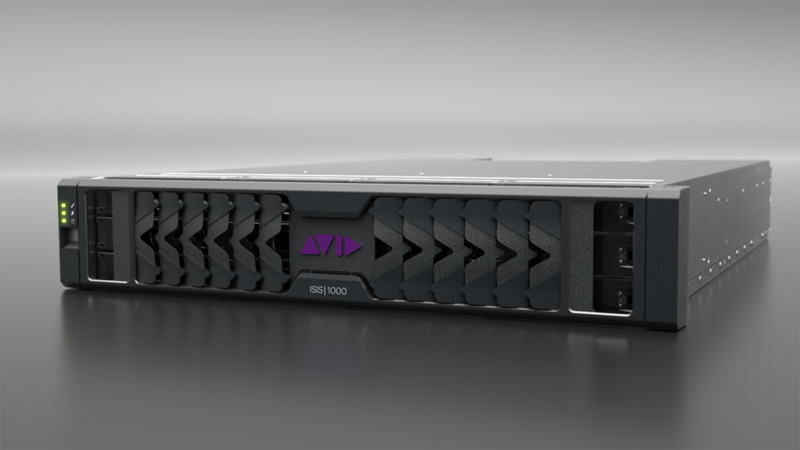 Unfortunately most of the files I was getting were STEP files, not all the teams at AVID use Solidworks as their design program. I initially loaded the STEP files in 3DS Max (the only thing it's good for here at Sabertooth) and exported FBX files for MODO. MODO loaded them fine but ran into the 'many item' problem. MODO 801 does not cope well with many mesh items..and some of these files had thousands of them. I decided to turn to MODO's CAD Loader plugin and got much better results. The files intelligently used instances and replicators where necessary and the normals came in almost perfectly (with just a couple small exceptions). I actually had better luck with the triangulated meshes than the quad import. You don't really need quads unless you feel you are going to try and sub-D some of the parts for animated deformation or you need to push in very close and don't want to see polygonal edges. For what I was doing triangles were just fine (they almost always are...despite the obsession with quads). When putting together the scenes (prepping, as I like to call it) I realized I was going to be up against the wall with render times and was looking for a way to offload some renders. I've been experimenting with Octane render and MODO for a while and with the sudden release of the Titan X I decided it was time for a production. So...bought a Titan X...popped it in a workstation and fired up Octane. I was actually very impressed. Paul Kinnane has done a fantastic job with the Octane plugin for MODO...even having to work around some of MODO's current roadblocks. You use the schematic to put together your Octane materials (I prefer to make them from scratch rather than try and convert MODO materials) and use all the excellent interface tools on the Octane specific floating windows to get your work done. The Titan X blasted through the images...all of them at 4K or higher. I haven't done any specific tests yet but it certainly 'felt' like it was as fast as my 16-Core workstation. In fact, for things like AO passes it takes just seconds. I'll try and get some numbers up - but the take away from my experience is that you can definitely use MODO+Octane for real production work. You don't have nearly the flexibility of MODO's Shader Tree at your disposal...but you can use Octane's passes (some more useful than others) to grab luminous materials like LEDs and AO passes....and the Schematic (while more time consuming than using the Shader Tree) is capable of creating complex multi-layered textures and materials. Here's some images rendered in Octane. Squarespace doesn't like large images..so maybe I'll post some full-res ones over on The Foundry forums. Here's some images rendered in MODO. I preferred using MODO for the large consoles and components that had a lot of lights. AVID wanted specific LEDs on and off and I had a fairly sophisticated method of overrides going on in the Shader Tree to make this happen easily. Unfortunately this level of masking (I don't think at least) isn't going to work with Octane quite yet...or would be much more tedious to set up in the schematic. And last (but not least) I needed to wrap up a project for Teledyne and Rob Rodriguez (of Solidworks fame). It's a continuation of the deep sea one I did for them last year. It involved a *lot* of assets in a single scene. MODO handle it quite well (terrain, machinery, plants, trees...all that) but I can't help but think that this is exactly the type of project Clarisse is made for. Import your assets and fly around them. There's very little animation going on...just camera moves and some simple machinery. I got an email from Isotropix this morning all about Clarisse 2.0.....I think I may check it out the next time I have a project like this one. These are just montages of the finished animations that I put together....Teledyne's in-house team took care of the actual edit (they have MODO there too) but I'll go ahead and share them with you. Underwater and 'Topside'. Overall - a busy 2-3 months for me here at Sabertooth. I said somewhere in a previous blog post that I don't think you're going to see a lot of old animators (I'm 44)...the industry is such a grind. Every time I finish a difficult run like this one I pretty much think "ok...time for my back-up career. Forest Ranger!" See, no deadlines AND I get some exercise. One of the many issues with being an animator is the looooong bouts of sitting at the desk and the many late nights. Late nights usually means eating like crap....and all the desk time means no exercise. I'm going to put some standup desks in the office, that will help. However I don't think there's any great solution. If you're an animator you're basically submitting to the fact you will be working many late night and see more of MODO and ADOBE then your own family. Let's all hope for early retirement.